Man-made ocean noise is threatening this fragile underwater world. Every day, whales, dolphins, fish and other marine life are threatened by a cacophony of industrial noise from shipping, seismic exploration for oil and gas and naval sonar used for routine training exercises. From the Atlantic to the Pacific to the wild Arctic, this endless barrage of noise impairs the ability of our planet’s vulnerable marine life to communicate, find food, navigate and breed. 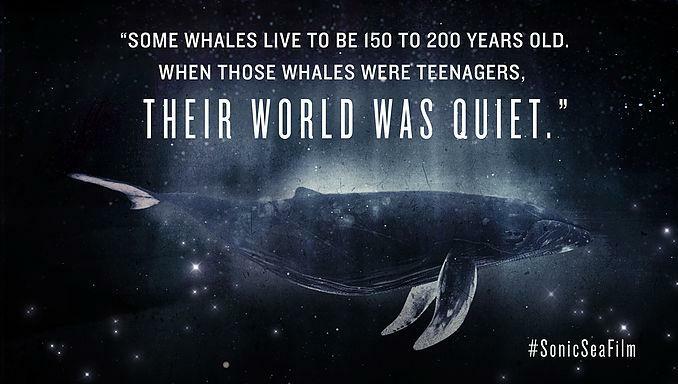 Ocean noise is harming and even killing whales, dolphins and other creatures in water bodies all around the world. We can make a difference, compelling industry and the government to chart a more responsible course to protect countless marine animals — if we rise up together now and demand change. Add your voice to join a global movement of people standing up for the future of our oceans.